Now Grandpap was dead, and we were left wondering what to do about it. It was a little more complex than I’d expected, this being the first family death I’d been party too. There were late-night calls and quiet discussions centering on whether my grandfather’s children were willing to take part in his death rites. All of this was news to me, and much of it I learned eavesdropping on my parents’ conversations after I’d “gone to bed.” What I overheard broke a lot of my childish illusions about my extended family. Ugliness lurked under the surface, very real despite the way no one talked about it in my presence. My youngest aunt, who’d born the brunt of my grandfather’s abuse, wasn’t interested in anything related to the funeral. (I wish I could go back in time and send her a therapist. She desperately needed one.) My other aunt and her husband didn’t really want to be involved, though they probably had more money than anyone else in this story. Like many family deaths, the money issue was a sharp divider. 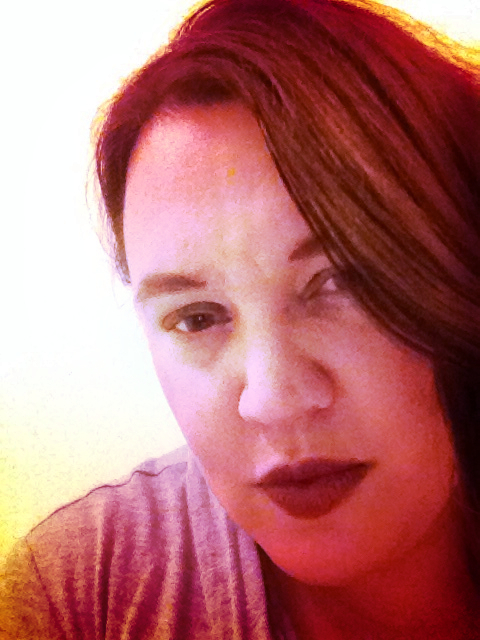 Our family was struggling, barely surviving my father’s disability and ensuing unemployment. The price tag of a death was beyond what we could bear at that point. My uncle and my mom conferenced to see if there was any money to address the obvious needs: bury him, pay for the coffin, settle his bar tab at the ancient watering hole in Scottdale where he’d drink with his buddies. I had to ask someone to explain the term “pauper’s grave” after hearing it thrown about by a relative. Turns out that was still a thing in Scottdale in the ’80s. But I guess family pride kicked in, and Mum and my uncle weren’t going to let it come to that. No money to buy fancy clothes, and Pap didn’t own any, anyway. Dad went through his closet and found a nice navy suit that he couldn’t any longer fit into, given the massive breadth of his shoulders and chest after spending the past 4 years cutting firewood. The local VFW (I think) helped supply the flat brass plate that served as his grave-marker. Granpap had a $5,000 insurance policy, probably from his Navy days. It was enough to buy a basic coffin, pay for the embalming, and set up a graveside funeral. But it wasn’t enough to afford an extra couple thousand for the concrete vault required by the large “nice” cemetery where my grandmother was buried. That’s not even to consider the shade thrown by mom’s other siblings at the idea that he would be buried next to her. Family gets weird when someone dies. Grudges that didn’t provoke action from the living are waged around the dead. Another conference around the kitchen table. Several calls to local cemeteries: can we bury someone in your ground without a vault? And what do you charge to dig the grave? 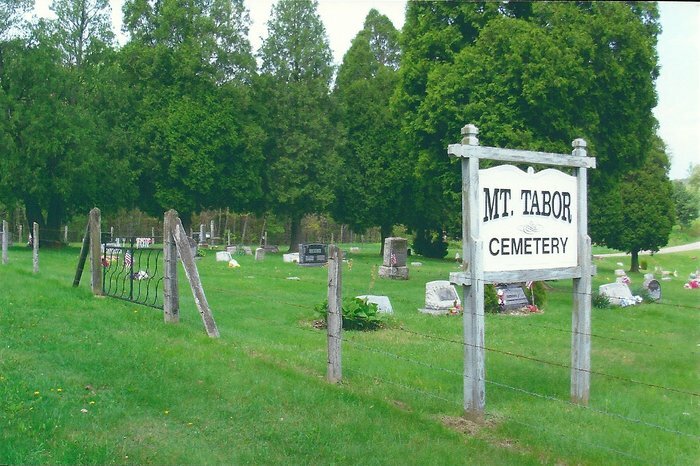 In the end, it was Mount Tabor Cemetery tucked up in the mountains where I lived, across the ridge and near Indian Creek, that offered terms we could collectively afford. And so it was on that wet, warm morning in late June that my dad, my half-brothers, my uncle, and his son stood on our porch with their collection of tools to tackle an age-old tradition: digging a grave. It took them several hours. They were in for hard work, and they knew it. Under the lush black dirt of the mountains would be sticky yellow clay, the kind that could bounce a pick right up into your face if you weren’t careful. And worse, it had started to rain. Not a gully-washer, but a humid drizzle that threatened to produce bigger showers. The men returned mid-afternoon hungry, tired, and dirty – but satisfied they’d dug a good grave, and seemingly appreciative that they were contributing to a good burial for a man they didn’t fully admire, but whom they were willing to claim because of blood. But they were also concerned – although they’d covered the hole, the impending thunderstorms threatened to fill the grave with water, a puddle that the clay soil would preserve, delaying the planned funeral. In the morning, a couple of them headed over to see how things stood. My dad returned with heartfelt news that the hole was completely dry. It shouldn’t have been; the men all knew it’d rained enough overnight that they should have been dealing with a mess. But that’s not what they found, so dad offered his thanks for the Providential surprise, and went to put on the only dress clothes he owned which still fit him. My brothers changed into their finery recycled from the 70s (my own wedding photos a decade later would confirm that one of my brothers bought his only suit around 1975 and saw no need to put money into an updated one). The family and a few associated friends assembled for the service. It dripped rain on us as we stood on an unusually cold June day on the steep slope of the Pennsylvania Appalachians in a cemetery which now seemed quaint. A minister who’d known my mom’s family found something kind to say over my grandfather’s bones. Pap had been a machinist at various points in his career interrupted by bouts of drunk-induced unemployment. But a few of the old men in the town remembered his skill with a tool, and with rolling a good cigarette, and serving in the Navy during World War II. The minister salvaged what he could of my grandfather’s life and drew our attention to the shortness of human existence. As my adult self, I can appreciate now that the minister wasn’t one of those guys who had to turn every moment into an altar call or threaten us with hell if we didn’t confess Jesus. It was a simple service, simply delivered, matching the simple way my grandfather’s hand-dug grave would accept his body. And there he lies to this day. He was the only one of my grandparents that I remember. His wife, my maternal grandmother, survived breast cancer long enough to hold me, then died a few months after I was born. I am named for her and for my mom’s youngest sibling, the one who suffered the most in the unhappy household my mom grew up in. My dad’s parents were gone by the time I came along. His father, an evil man, died screaming in his bed and was laid out in their family parlor in 1964 for viewing – that’s a story my dad told with great consistency. His mom lived to see my dad get married to my mom, but passed shortly after. We had a photo of her in the family collection, sitting in their living room staring into the camera in that frank way old people look at the world, next to photos of my mom’s family. Grandpap retained his place in the family photo collection. Whatever he’d done to his family or to her, it wasn’t enough for my mom to cut him out of her life.